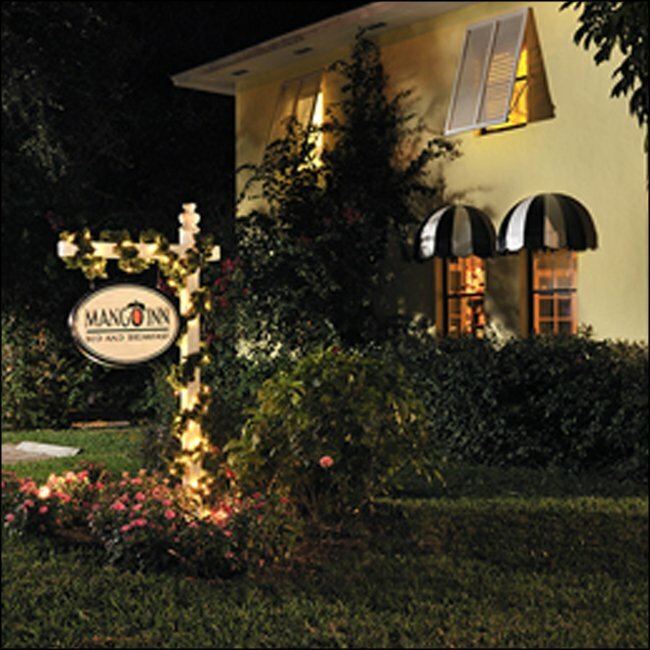 The Mango Inn offers casual elegance and a quiet respite in the center of everything Palm Beach county has to offer! Nestled on a secluded corner lot, this historic inn was built in 1915 and is said to be one of the oldest homes in Lake Worth, FL. Complete privacy, tropical landscaping, and cascading water fountains create a welcome oasis. A full gourmet breakfast awaits you on the veranda each morning, and you'll enjoy fresh ocean breezes while overlooking the pool. The Mango Inn is a short (10 minute) walk to the beach and downtown Lake Worth, where visitors find wonderful cafes and restaurants, shops, antique stores, and galleries. Innkeepers Judi, Deb, and Bill are committed to assuring that a stay at the Mango Inn Bed and Breakfast in Lake Worth, FL will provide you with a peaceful respite from everyday life.